It’s not like they want to draw something new. I see a tiny OVA or “CLAMP in Wonderland” thing. Doesn’t matter. I’ll see everything from CLAMP! ! ! I can definitely see this as an OAD thing. Kodansha loves OADs (they were the creators of the concept, after all… along with CLAMP). For what it’s worth, Kodansha — the publisher of “Nakayoshi” — made the initial announcement for the remake of the Sailor Moon cartoon, so it’s not out of the question that this upcoming project is animation-related. You’re right that all of the anniversary activities for CCS so far have centered around the manga, though! A oneshot would be a nice idea. I’m definitely holding my breath too. The original anime is perfect as it is. I think a remake would hardly overcome it and therefore chances are high that it will be a failure. I can think of 2 recent remakes of mangas that I absolutely adore, and which first anime series were also wonderful: Glass Mask and Full Metal Alchemist. And their remakes were masterpieces!!! And hey! Even if Sailor Moon wasn’t what I expected, having an anime version following the manga plot was still ok to have. The scenario you described there would be the only scenario in which I’m happy. I just don’t want a remake to be treated as the Sailor Moon remake which has a very poor quality. I did hear about FMA’s remake good reputation and if it’s going to be like that, then I guess it’d be nice to have a remake ^^” I just think that comparions are BOUND to be made between the remake and the original and they better put a lot of effort into it in order to actually JUSTIFY the need of having a remake, cause otherwise it’s just another reason to extract more money of the fans and that’s not acceptable. They better put a lot of effort into it in order to actually JUSTIFY the need of having a remake, cause otherwise it’s just another reason to extract more money of the fans and that’s not acceptable. That’s where I agree with you, Chibiyuuto. To be honest, the upcoming artbook and the “Nakayoshi 60th Anniversary” rerelease of the original series feel like price-gougers to me, so I’d be ticked off if the new project was some kind of cash-in like a a hastily-written sequel or a sub-par remake. -Syaoran is also shown as having not much powers in the manga (which has always been very disappointing for me to be sincere…but Clamp rectified that in TRC :D) while he seems to hold a lot more in the anime, in which he is shown catching and using cards, something that never happened in the manga. I can’t say I’m complaining about this though: I believe the manga in which CLAMP favored Sakura as a magical girl heroine beyond anything and anyone was a bit too much, they might have made her too “all-powerful”, and her “rival from HK” didn’t participate much in anything in the end: he didn’t catch cards, wasn’t part of the Final Judgement, other than a ‘support’, he did nothing much in the Star Arc too, and even in the last fight against Eriol, CLAMP didn’t even do him the favor of making him change the last 2 cards together with Sakura till the end (like it happened in the anime): they just had to make him faint! -and of course, in the whole, animating all the parts that weren’t done previously, including the original ending from which we strayed from in the 90’s version. In my eyes, that would be a significantly different enough version compared to the 90’s, and if so many changes are made and animated, a justified remake. I don’t find it extremely unlikely to have a new one-shot as one of the many celebrations for the 20th Anniversary. It might not be related to this “new project”, but Kodansha did mention that there would be many forms of celebrations. It would be so nice to have a one-shot that takes place years after the manga ending. It would be nice to see them 20 years later but that might be too strange for Nakayoshi (they would be all in their 30s after all). Do you think it could be a stage play? I looked back through your “CLAMP no Kyoto Agaru Sagaru” recaps, and in the ninth episode, CLAMP discussed their favorite stage plays and which of their works they’d most like to see adapted for stage. It seems like it would be a popular project that would be fun for CLAMP to work on. CLAMP mentioned video game adaptations in another episode, so a new CCS game could be an option, too. The Clow Card arc of the original TV series is going to be re-broadcast beginning in April, so that means it’s going to run until December, right? I guess that means we can rule out a straight-up remake of the anime, since it would be weird to run a new show alongside the old one. And there really isn’t any compelling material for a sequel to either the comic or the TV adaptation, either — I think any additions (beyond a short OAD, like Anonymoon suggested above) would be jumping the shark at this point. About the stage play option, it actually sounds like a good possibility, but for some reason I am less convinced by the game thing though? Also, even if the word “project” sounds like something real big, I agree with you that either anime or manga material (if this is what this is about), it will be something short, a sequel of either is extremely unlikely. Actually the stage play adaptation sounds VERY plausible! They did talk about it in “CLAMP no Kyoto Agaru Sagaru” and CCS was one of the works they said it would be good to have a stage play adaptation, if I remember correctly. I’m with cutesherry on the game thing, though. I don’t think they would make such a fuss for a game. The Clow Card arc of the original TV series is going to be re-broadcast beginning in April, so that means it’s going to run until December, right? I guess that means we can rule out a straight-up remake of the anime, since it would be weird to run a new show alongside the old one. Also, BTW — the actual announcement in Nakayoshi doesn’t reveal any more information than we already know. It implies that the rebroadcast of the Clow Card arc starting in April is related to the project, though. Thanks for the extra info ^_^ Even while thinking about it, I didn’t really believe in new anime material (in whatever form), but it might surprisingly be the case in the end! Else, nothing comes to mind that might be related to an anime broadcast…is there? First of all, congratulations on such a great website/blog. Been a CLAMP fan myself I’ve been following your articles for about 7 or 8 years since this is the best website to stay up-to-date with the latest news. Now, I remember reading and article you wrote back onJuly 2009 (CLAMP Expo). Somebody asked them what was the business Syaoran had to take care in Hong Kong at the end of CCS. It would be great that this “New Project” is a One-Shot about that. What do you think? Hey, thank you so much for following this site (previously LiveJournal) during all those years. Really, muchas y muchas gracias Roberto! Maybe some short comics or perhaps an OAD? Or if we are lucky, the remake of the anime? Well… I think of Sailor Moon and its remake. But it was necessary since the anime was very different from the manga. For Sakura, I can think of a remake because is another jewel for Nakayoshi. Although, compared to SM, Sakura’s anime was pretty nice for me since it complements the manga. Then, I think of these new generations that don’t like old stuff, and need a product with awesome graphics and stuff like that (Sakura anime is old, almost 18 years). If Nakayoshi wants its jewel to shine again, for new generations a new product is needed. Adoraria que fosse passado eles na adolescência, talvez um sonho impossível mas é muito difícil parar de sonhar com a volta do anime do qual você mais gosta. oh my goodness me!!! i cant say how excited i am to hear this!! no word no word, just squeals and cant stop smiling!!!! 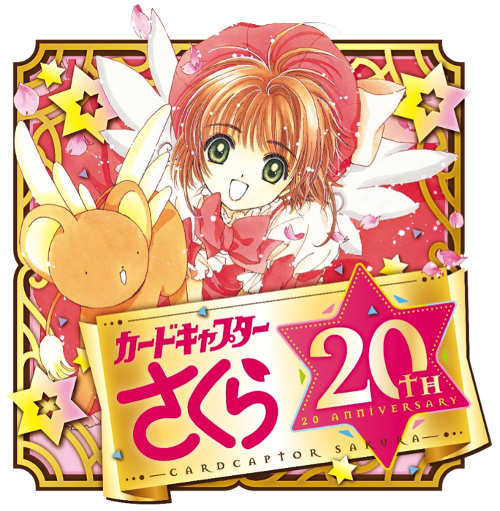 cardcaptor sakura was my very first manga and anime so its very very special to me. no! i dont want a remake of the anime either. i think its nice the way it is. personally id love new material set a decade or so after the end. although i would love to see more of the li family. and yes, what did syaoran have to take care of? the li family do sound interesting! i think they have a lot of potential. i wana see more of them. but its card captors! seriously id be happy with anything. but im not keen on a remake of the anime (apart from including the thing about sakuras dad being clow reeds reincarnation) it makes more sense as to why he had the book in his house. id like to see watanuki and sakura working together like clow and yuuko did… and i wana see and touya and yukito , :3 and if syaoran and kero get on better now?? lol.